To all the dealers, suppliers and sales personnel of security products, let us show you a way where you can greatly benefit in regards to your sales figures and simultaneously be providing greater gain to the end user and the security risk assessor. The secret lies in providing the risk assessor with functional information and not just rattling off specs as you were probably trained to do. We need you to paint a clear, concise picture of the capabilities of your product when we seek information during our security risk assessments. By providing this, the client will be able to make that final decision to purchase your product. Remember that if your product meets the specific requirements of the client’s security needs as unveiled during the course of the risk assessment, then you will have definitely made a sale. The good news about this is if the client buys your product because of our recommendation, you are under no obligation to pay us commission. Our client has already done the risk assessment. We have spent numerous hours with the client and scrutinised their security on many different levels. We are familiar with their working environment and their individual requirements. 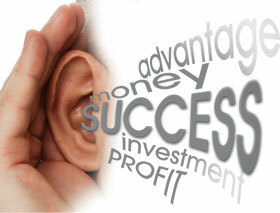 The client has paid attention to the conclusions and professional, unbiased solutions provided by us. Don’t approach us with all the stock you have in your inventory or your own theories, but rather work with us as a team and listen to what we are actually requesting. Bearing the above-mentioned in mind, that the assessment has already been conducted, don’t make prejudgments or assumptions as to which categories of wealth a client falls into and if it’s a waste of time. Remember the client has already paid us for our expertise and will not ignore the suggestions we present. The client is beyond the point of simply requesting quotes or purchasing products. Entry-level products are usually the last thing we actually require. Again, listen to our appeal and supply the product most suitable to the needs we have already identified. An example, we approached five security product providers in the past to quote for an installation we assessed. Three of the five did not respond to our request because of their own prejudgment. The result was an intricate system consisting of approximately 64 cameras being installed for our client. A huge opportunity was lost by those who did not respond. This same client is now ready to increase their system and an additional 32 cameras. Dealers and resellers of security products; please listen to our request. By all working together: the assessor, the client and you, we all win.